KRSK (Kompetisi Robot Sistem Komputer) is a Line Follower robot competition which is held in Foodcourt at Anggrek Campus. 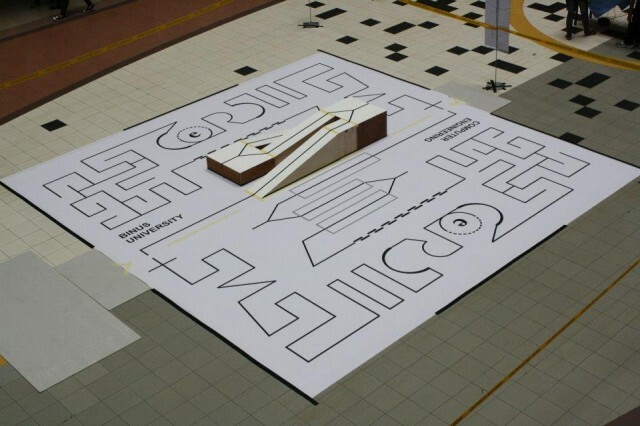 The rules of this competition are the robot should follow the dark-line in the KRSK track, and also the robot gets past the hurdle. Concept: This competition is opened for all of the students in Computer Engineering Department at Binus University. The Exhibition showing all of the projects from the students in Computer Engineering Department Binus University. Beside that, in the expo the students in Computer Engineering will show how to solder some component, and also show the subject material in Computer Engineering Department. Workshop will be held in HDD room at Syahdan Campus, and it is opened for all students at BINUS University. It will provide the basic knowledge about a simple robot and how to make it. This workshop will be guided by the competent students of Computer Engineering, they will teach you from the basic until the design and assemble it. 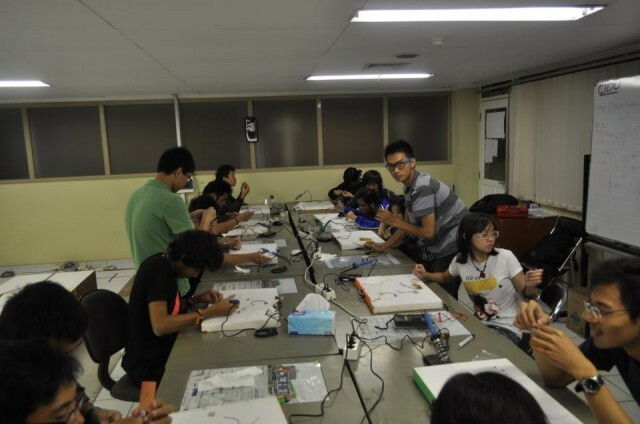 Actually, this workshop is not just about robotics, but also the other electronic devices. Seminar/conference is about the update of technology in this era, it will give the advantages for the students in the lecturer. 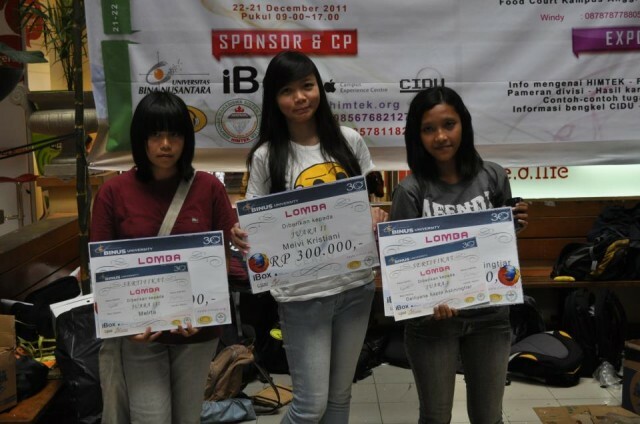 Web designing competition is the opened competition for all students at BINUS University. 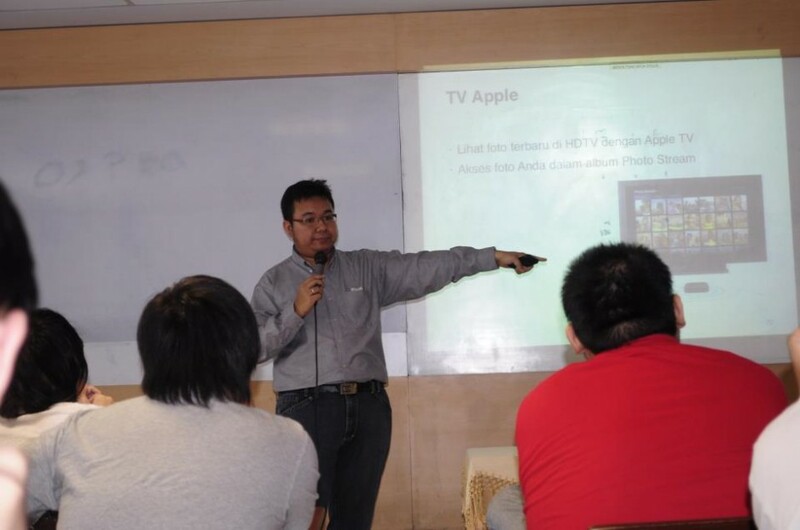 The purpose is to introduce Computer Engineering Department in the interesting-common way, so the contestants will explore the information about Computer Engineering Department at BINUS University, and they have to create the creative website to win this competition.